The Right Steps has been a well established Wife/Husband owned small business with an excellent reputation for many many years in Sacramento County and surrounding areas. Training with Cindy C. Smith, CNWI and The Right Steps means you will be training with an experienced Positive Reinforcement Trainer and Instructor of over 20+ years, who never stops learning and keeps up to date on humane training methods and equipment! 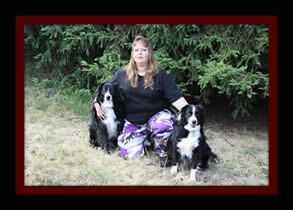 To learn more about Cindy and The Right Steps check out our "About Us" page! We know training takes time, patience, consistency, and focus. Please understand there are no quick magic fixes or guarantees. Ethical trainers do not give guarantees. Each animal is a live being, training and behavior modification takes time and training. The Right Steps is referred to by Veterinarians, Pet Professionals, Pet Therapy Groups, Animal Rescue Groups, Shelters, Breeders, other Trainers, Our Clients, Friends, and Family. Check out our "Testimonials" page. Our Positive Dog Training Solutions enrich relationships of families and their best friend. You may ask what we mean by "A Well Behaved Dog"? Simply put, your best friend you enjoy spending time with and living with for many many years to come. We look forward to speaking with you soon. Contact us today to get started!